A lot can happen in a span of twenty five years. Communist superpowers can crumble beneath the weight of sheer, raw capitalism. The world’s most diverse nation can unite in the face of terrorism. LeBron James can win an NBA championship. Indeed, in the time since power pop outfit the dB’s last released a studio album, the world has undergone strange and wonderful changes, but the group seems to have retained much of its pop sensibility. 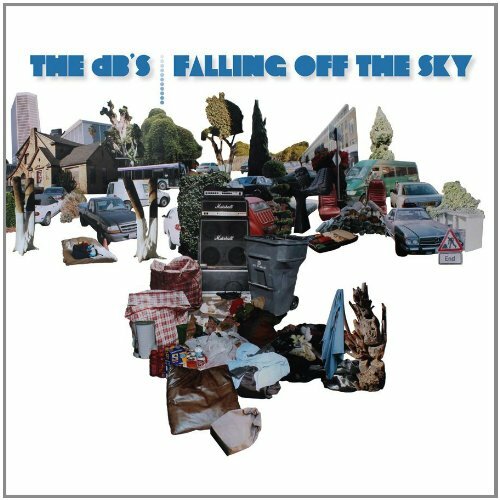 Falling Off The Sky, the dB’s first effort in over two decades and the first with the original lineup in three, harks back to its debut album, 1981’s Stands for Decibles, more than Repercussion, and the complementary jangling tones of Chris Stamey and Peter Holsapple hammer the speakers from the start. “That Time is Gone,” the album’s opener, begs us to, “Wake up, wake up, wake up” and belongs in the same garage rock family tree as ? and the Mysterians’ “96 Tears” and the Keggs’ “To Find Out” as well as a host of early Kinks and the Who singles. Most of the tracks feature some kind of punk influence while holding onto the nuances that make listening to pop a generally less angry experience. Some songs, such as “The Adventures of Albatross and Doggerel” and “Collide-oOo-Scope,” seem to be amalgamations of two or more songs, with varying tempos and conflicting themes in lyrics. There are also elements of McCartneyan baroque pop, on tracks like “Far Away and Long Ago,” that test the musicality of the group and vary the overall feeling of the record enough to keep it interesting.